Homes in North District, Salt Cay. The old Salt Cay Methodist Church. 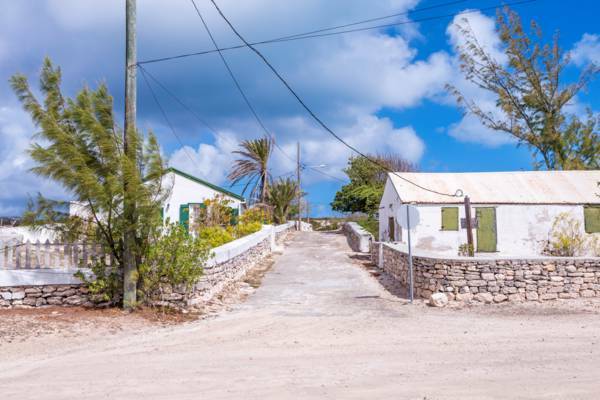 Situated near the Salt Cay Airport, this quiet residential region is located in the center of the island and directly adjacent to Balfour Town. Private homes make up the majority of buildings in the area, many of which date back to the salt production days. Several rental villas line the main road here as well. As is the case throughout Salt Cay, commercial establishments are limited. Porter's Island Thyme restaurant and the tiny Netty's dry good shop are the two local businesses. The entirety of North District covers an area of about 25 acres (10 hectares). The Salt Cay Methodist Church is the main attraction in the district. 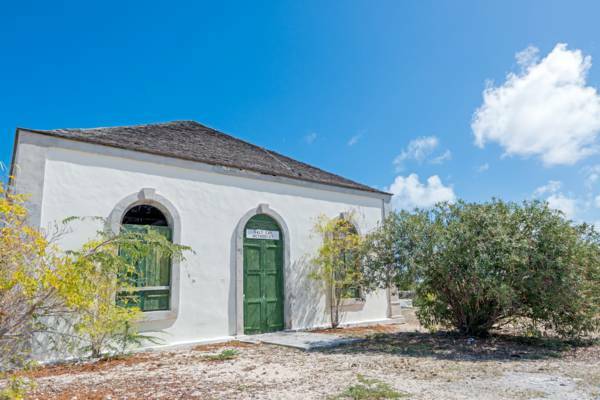 Heavily damaged by Hurricane Ike in 2008, this old British Bermudian colonial building isn’t currently used. It’s hoped that funds will be raised to restore this beautiful structure. 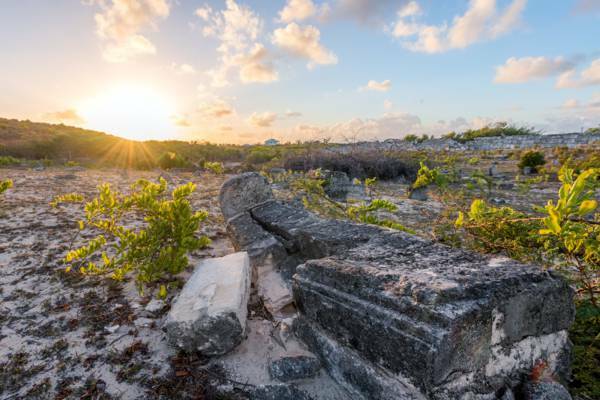 Another historical site nearby is the main cemetery for Salt Cay. In disrepair, some of the graves here date back to the 1700s. Although not in North District, portions of the expansive Town Salina and Little Bluff Lookout are also not far distant. The route to the exquisite North Bay Beach can be found off of the road to the nearby Salt Cay Airport. Follow the road to the north near the cell towers. The old cemetery at North District.